For more than two decades the O’More Fashion Show has been a launching pad for student designers and groundbreaking talent. Over the years the runway has served as a centerpiece for original designs that are cutting edge in terms of style and technical execution. 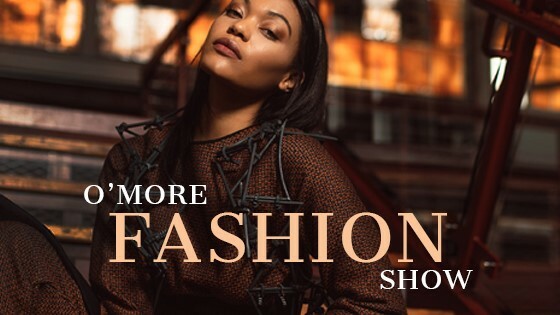 On May 10, the show enters a new venue and a new era as the historic Franklin Theatre hosts the annual O’More Fashion Show before the College merges with Belmont University. The 2018 show will feature the Collections of O’More’s Senior Class. It will also continue a longstanding tradition of collaborative efforts. Sophomores and Juniors will present designs created with Naia™, a fiber engineered by Eastman Chemical Company, a Tennessee-based Fortune 500 enterprise. And the Show’s opening act, contemporary dance group New Dialect, will perform in costumes designed by O’More students. Be there for an entertaining and historic evening on Main Street in Downtown Franklin and see how design has the power to transform lives. Your patronage will directly benefit new technology for the O’More Fashion Program as it enters an exciting new chapter.